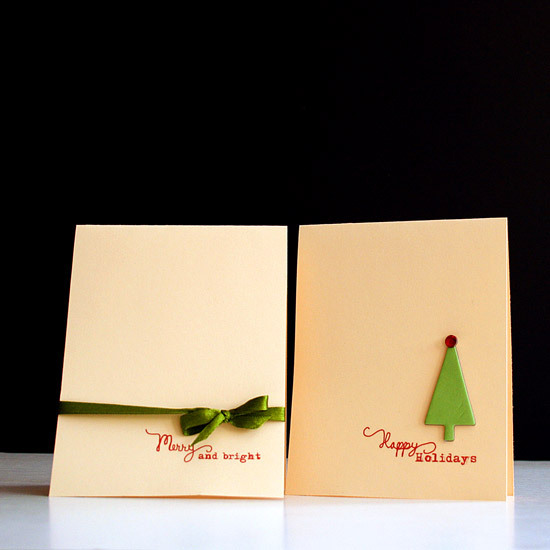 This week I have a special treat for you guys, a set of a couple printable holiday cards (for personal use only). To use them, simply print the PDF file on a letter sized cardstock, cut them, lengthwise, at 4¼” and fold each piece in half, inward. That’s it. You can then add a ribbon, a chipboard element or leave it clean and simple, as is. No more than a minute per card. Now, as much as I appreciate Jennifer Mc’Guire‘s beautiful, artistic cards that every single time make my eyes pop or Lisa Spangler‘s adorable and beautifully made cards and as much as I love Kristina Werner‘s graphic style and creative use of products as well as many other über talented and creative card-artists out there – when the time comes to send dozens, if not hundreds, of holiday cards – I don’t think it is practical to engage in such intricate card making [not to mention one must also be as talented as they are to achieve all of that]. I hope my mischievous methods will also be helpful to you in this holiday season. 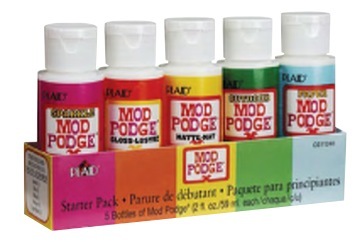 My friend, Amy at Mod Podge Rocks is having a fabulous giveaway and I thought it’d be nice to let you know. Contest closes at midnight, this Saturday the 26th and 5 winners will be chosen. Click on the giveaway link above for the rules on how to enter! Today is Passover’s Eve. The Jewish people are celebrating their freedom. I think it is a great opportunity to explore our freedom today. To think what makes us “free” or what do we need more (or less) of in our lives to set us free. What freedom do we seek? Is it financial freedom in the current recession? Is it freedom of love? Freedom of thought? Freedom from an oppressive workplace? What tools do we need in order to obtain our desired freedom? Do we need some more courage? Do we want some less responsibilities? Do we need to take an initiative and leave or maybe to regroup again? For this week’s journaling prompt lets explore our freedom or our yearning for freedom. 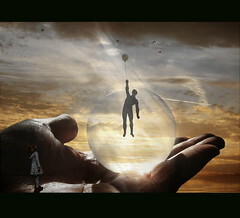 Do you feel you are living your life as a free person? What aspects in your life makes you feel free? How would you define your freedom? What does being free means to you? In which facets do you feel deprived of your freedom? What would you like to change? What can you change right now? What traits can help you become more freestanding? What traits do you already have to assist you in finding your freedom? Describe a life absent of any constraint. How would living those life feel like? To celebrate our freedom I am giving away to one of my readers a $50 GIFT CERTIFICATE to: Scrapbook.com. That means the winner is FREE to choose his/her own fabulous prize!!! This giveaway is open for everyone, from all over the world. Leave a comment on this post telling what would you like to see more of on Creativity Prompt. Link to this page on your blog, spreading the love to your readers. Then leave a comment on this post with a link to your post. Link to this giveaway on a forum or a group discussion board and then let me know by leaving a comment on this post with a link to your post. You have until April 14th 2009 at 10pm PST to participate, afterward comments will be closed. The winner will be announced later on. The winner will be picked at random out of all the comments on this post. Each person can leave only one comment per option (in total, up to 3 comments per reader). Leave a valid e-mail on the comment’s form, as the gift certificate will be sent digitally to that address. Today is the new year’s eve, according to the Hebrew calendar. The beginning of a new year is always a good opportunity for an internal check-in. New resolutions. New wishes and dreams. An opportunity to look afresh at life and re-sketch my path in it. I enjoy pondering both on the Jewish new year and on January 1st. Exhausting any opportune moment to go back to the drawing board of life and making sure I’m not walking on the wrong path too long. I would like to celebrate the new year with a giveaway for you!!! 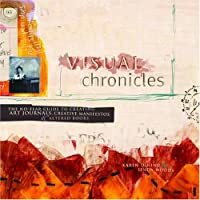 I have a copy of the book: Visual Chronicles by: Linda Woods and Karen Dinino to give away. It is a beautiful book, filled with loads of creativity. You may click on the link to look inside the book on Amazon. To enter the giveaway, just leave a comment on this post and write how are you celebrating or going to celebrate the new year and on which date or dates? I will draw one happy winner on October 14th, which is Sukkot’s eve. So make sure to stay tuned for the winner’s announcement. 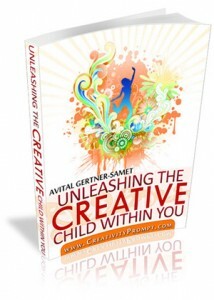 I am delighted to announce the release of my first e-book: Unleashing The Creative Child Within You. This e-book is a result of my own journey to find and reconnect with my inner creative child. I invite you to join me on this journey so you too will be able to spark your inner creative child. September the 1st is the perfect timing for starting a new learning expedition. Nothing provides such a refreshing boost like learning something new. It helps to open your mind to new methods and get inspired by the new possibilities – limited only by your own power of thought. Without further ado I invite you to embark on a journey which will take you back to a state of creativity abundance, the same state you had had as a child. Discover what have happened to your creative self. Find out what inhibiting forces are intimidating your inner creative child. Learn how to overtake these forces and spark your own creativity. Read about the special traits that will help your creative self flourish. Unleash your inner creative child by following ten simple exercises and enjoy your overflowing creativity. Please feel free to read more about my new e-book. I am sure you will benefit from my e-book and it will help your creativity soar in ways you had never imagined were possible anymore. For a chance to win a free copy of my e-book, leave a comment to this post with some feedback on my blog. You may comment until September 13th 20:00 (GMT) and the happy winner will be announced on September 14th.